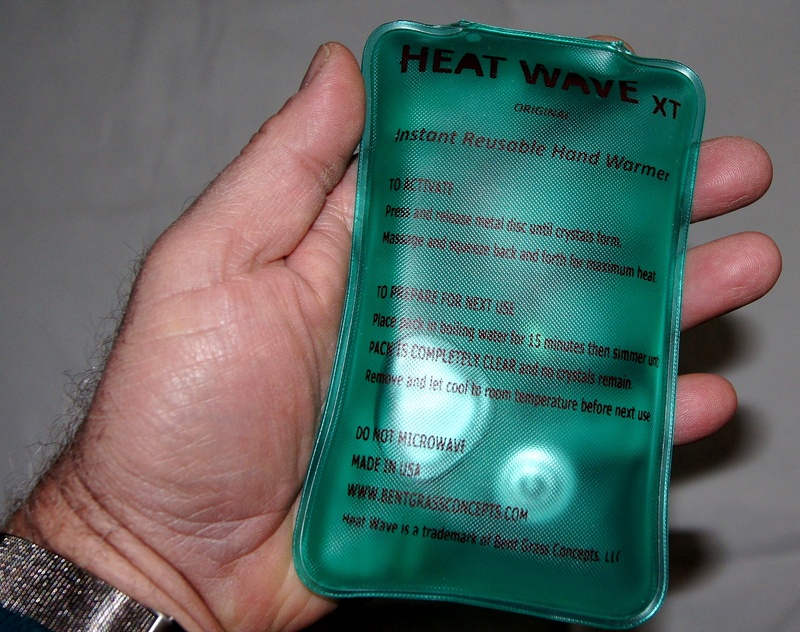 Heat Wave XT is our latest product featuring original Heat Wave instant reusable hand warmer technology. We made the pack 20% bigger in size and stuffed it with 40% more liquid to give you 40% longer lasting heat. These may be too big to fit in your gloves but work great in your hands, pockets and mufflers. For those with Raynaud’s syndrome, this may be the product to keep you warm when you need it most. We just shipped our first shipment to amazon.com but will have more available for direct purchase next week. Hope you get to try it!